Everyone knows the history of India. But not all knows how much wealth it gave to this world. I don’t mean the literature and culture it taught to this world. I mean the real wealth, the money, the gold and diamonds stolen, looted by the British rulers, when they ruled India for nearly 200 years. During the mid of 1770’s, the western countries, especially Britain had Industrial revolution and it was completely financed by the money looted from India. Even William Digby and British historian agreed that without the “Venture Capital” which was looted from Bengal, the Industrial Revolution might not have happened. In 1757, the Battle of Plassey happened among the King of Bengal and British rulers. But Robert Clive defeated the effort of evicting the British rule. During this battle, Bengal got looted completely. The looted money and wealth were then showered in the industrial revolution, which helped in the inventions like “The spinning Jenny” in the year 1764, “The water Frame”, a machine to spin cotton threads in the year 1769, “The Steam Engine” in the year 1785 and a lot more. Apart from financing the British people to develop their inventions and economy, the wealth of India also helped Americans also to grow economically. During 19th century, USA levied heavy and stiff tariffs on any goods that are imported from Britain. Since Britain didn’t have any problem for wealth and money, as it was flowing from India, which they absorbed completely. So they didn’t care about the high taxes. So, the prosperity of India was shared with America also by the British rulers. Anglophiles’ note of apology says “British colonial rule in India was the organized banditry that financed England’s Industrial Revolution”. The British rulers even took over the technology of India, along with money. Will Durant, an American Historian mentioned in his note “India was flourishing in Ship building besides the expertise of making steel and textiles. But all got ruined when British took over those technologies”. Only few knows that the birth place of the world famous Kohinoor diamond (which means Mountain of Light), which is currently a part of the Royal British Crown Jewels, is India. This 105 carat diamond was the largest one at that time and it was kept by various Mughal Emperors. But it was later looted by the East Indian Company, which was then gifted to Queen Victoria when she was declared as “Empress of India” in the year 1877. 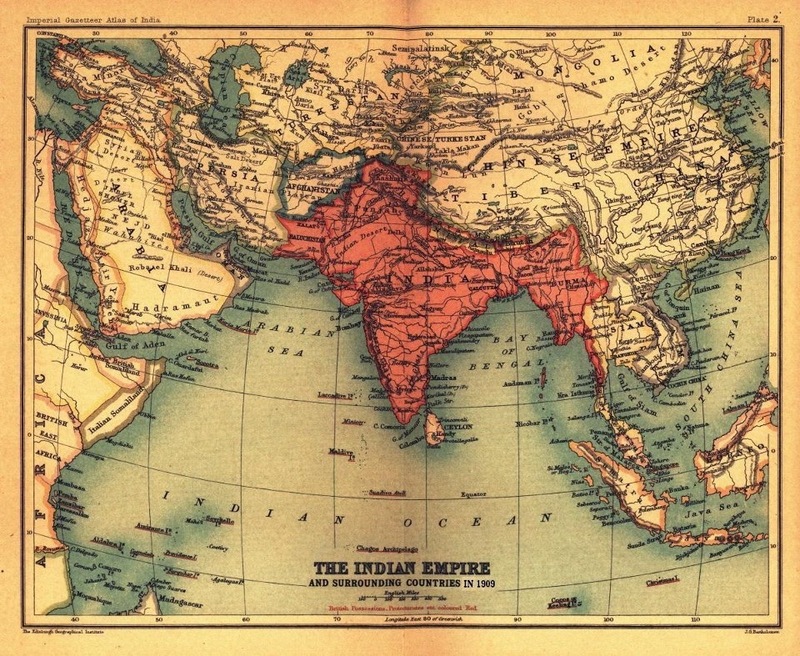 Roughly it has been estimated as 1.8 Trillion Dollars of money that was looted by the British rulers in that 200 years of brutal ruling of India, apart from some other wealth like gold, diamonds and raw materials which got transported out of India in around 700 Ships and made India from a Developed Nation to a “Third World Country“. That, Freedom Movement is still yet to be WON.